Brian Gross Fine Art is pleased to announce Heaven Turned on its Side: Photosynthesis, a solo exhibition of work by Santa Fe artist, Meridel Rubenstein, opening Thursday, November 1 with a reception for the artist, from 5:30-7:30 pm. 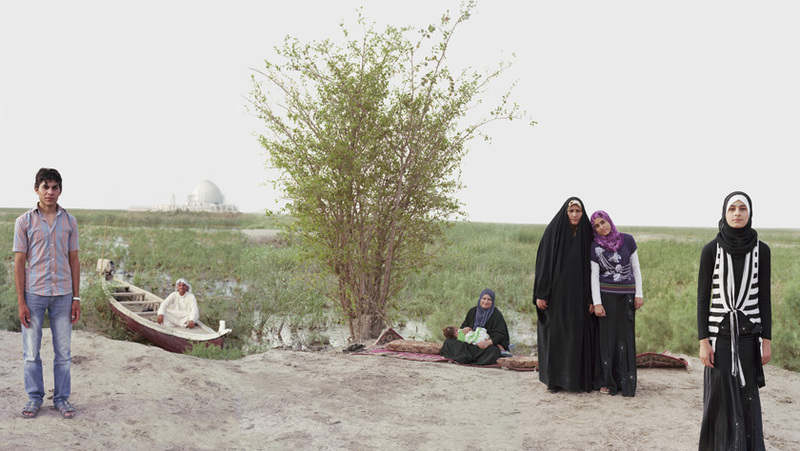 Her series, Heaven Turned on its Side, investigates the relationship between nature and culture. Comprised of three parts, a selection from the first part of this series, Heaven Turned on its Side: Photosynthesis, will be on view at Brian Gross Fine Art through December 22, 2012. In Heaven Turned on its Side: Photosynthesis, Rubenstein photographed people and trees at each solstice and equinox during the different stages of photosynthesis. In investigating the exchange of oxygen and carbon dioxide throughout the seasons, Rubenstein utilizes photosynthesis as a means to expose current ecological and social imbalances. Set against a post-Edenic world, the work emphasizes that survival is dependent upon a balance between conservation and human development. Rubenstein was born in Detroit, Michigan in 1948. Well known in the photography community, She received an MA and MFA from the University of New Mexico, Albuquerque. Since 2006 she has been a Visiting Associate Professor at the School of Art, Design, and Media at Nanyang Technological University in Singapore where she teaches Installation Art and Art and Ecology. From 2000-2005, she was the Harnish Visiting Artist at Smith College, Northampton, MA and from 1985-90, she headed the photography program at San Francisco State University. Her work has been the focus of numerous gallery and museum exhibitions throughout the United States including Site Santa Fe, New Mexico, the Museum of Contemporary Photography, Chicago, the List Center for Visual Arts, MIT, Boston, the Smithsonian Institution, Washington, DC, the Museum of Fine Arts, Houston, the San Francisco Museum of Modern Art, among others. She currently maintains a studio in Santa Fe, New Mexico. Last spring her well known Lowrider images from 1980 were shown at the Louvre in Paris. gallery@briangrossfineart.com. 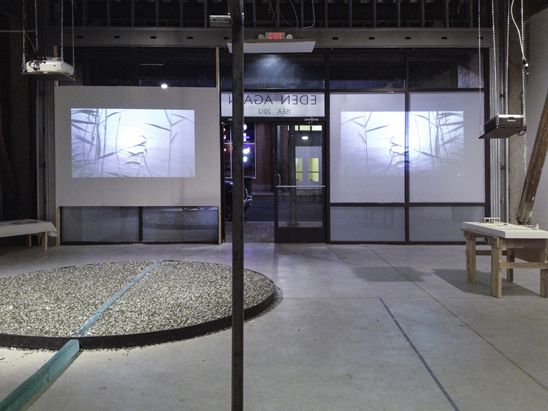 Gallery hours: Tuesday – Friday 11-5:30 pm; Saturday 11-5 pm. Open the first Thursday of each month, 5:30-7:30 pm. Eden Again In Progress installation inside view. photo by Robert Reck.